GB Abogados are well placed to assist international clients with the purchase/sale of yachts or superyachts. Our multi-lingual team of qualified solicitors are at your disposal to ensure that all manner of legal work is undertaken to protect your interests with the best possible solution. Our office in Mallorca is ideally positioned to provide marine law services to clients of any nationality. The purchase of a yacht or super yacht is clearly a significant investment and should be approached with detailed planning and the security of sound legal assistance. It is important to give consideration to the intended use of the vessel, such as the possibility of charter, proposed berth location etc. The tax liabilities can be significant if new owners have not followed a clear process of due diligence. GB Abogados´team of solicitors can assist with these important steps. Our yacht purchase service offers client a comprehensive level of legal expertise and advice from the contract negotiations right through to handover. It is important for a potential purchaser to have legal representation from the outset. Many buyers make the mistake of verbally agreeing terms and paying a deposit prior to obtaining legal assistance. The terms of purchase including time and location of handover needs to be considered carefully and formally agreed. A detailed inventory of equipment and items must be drawn up and formally approved. The inventory forms part of the purchase contract. It is imperative to make any offer subject to survey. GB Abogados can assist with arranging a survey of the vessel. Detailed searches to provide ownership and clean title must be undertaken in order to protect the purchaser´s interests. Our legal team conduct thorough checks with the relevant authorities and registries to ensure vendor ownership is confirmed and that the vessel is not subject to any charges or liens. These could be mortgage finance, loans, 3rd party interest or debts in relation to mooring fees etc. The history and movement of the vessel will also be verified. This is vitally important in terms of tax implications, previous ownership etc. An order for a new build yacht purchase provides additional challenges in terms of negotiation of the purchase contract including the various stage payments and timescale for delivery. 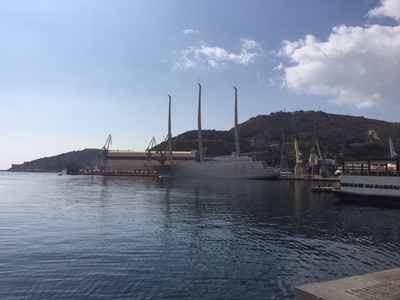 Our legal assistance and contract negotiation ensures peace of mind and offers a managed solution to the the months long process of purchasing a new build vessel. Our team of solicitors represent clients of any nationality with their yacht purchase. The legal work covers every element of the transaction including contract negotiation and execution, detailed inventory, stage payments, survey, hand over, registration etc. Yacht owners who wish to sell their vessel should do so with the benefit of sound legal advice. The multi-lingual team at GB Abogados provide assistance at every step. From the initial negotiations of the terms of sale, through to contract drafting, deposit, final payment and handover, our qualified solicitors handle each step ensuring clients benefit from the security and reassurance of benefitting from an experienced legal team. The cost of ownership of a yacht can be significant and is not limited to the initial outlay at time of purchase. The annual costs of maintenance, mooring, fuel and various other expenses mount up considerably. It is generally accepted that the annual running costs of a yacht is around 10% of the purchase price. These costs need to be factored in when making the decision to purchase. Increasingly, many people are buying jointly with another person in order to reduce the outlay. Clearly, when entering a joint ownership arrangement with another party, it is imperative to to reach a clear agreement on usage and financial commitments. The agreement should be formulated into a binding contract. Our team of solicitors are on hand to provide legal advice to companies or individuals who are considering a joint ownership agreement. This may be a new purchase or possibly the vessel is already owned and a % sale is agreed with another party. GB Abogados can assist in all manner of situations and ensure that the owner´s interests are protected throughout. GB Abogados can assist with the registration of yachts with the relevant authorities from a wide variety of countries. The choice of flag should be made with a clear understanding of not only the proposed usage and location of the vessel, but also with consideration as to the benefits and drawbacks of each possible country of registration. The team at GB Abogados will review your circumstances and provide advice as to the various options for the registration of the yacht. Purchasers benefit from a variety of options in terms of funding the acquisition of a yacht. High value yachts or superyacht purchases can be funded via a specialist marine finance lender. These typically take the form of a mortgage or a loan. The vessel usually acts as security. The lender will require detailed documentation in relation to the purchaser´s financial situation in addition to information relating to the yacht itself. GB Abogados can assist with the finance application through our network of contacts with marine financiers. Our dedicated team can guide you through the process, ensuring that you obtain the type of finance that you require. The Marine Law department of GB Abogados also assist clients with the purchase or sale of moorings. Our services cover all of Spain, both the mainland and islands. The location of the mooring needs to be considered carefully; in terms of matching your budget and convenience with the regular usage of the vessel. The purchase or sale of a mooring must include a formal contract with clear terms. 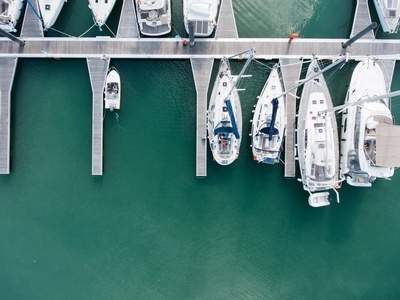 GB Abogados can assist with introductions to marinas and guide you through the process of purchase from contract to completion. Having sufficient and valid insurance for your vessel is imperative to safeguard your investment. It is recommended that insurance is taken out with a reputable and financially sound specialist insurer. The policy should take into consideration and cover the value of the yacht and the contents. The type of insurance can vary subject to intended usage of the vessel. The insurance policy should cover 3rd party claims, collisions and injuries. There are a variety of additional options including hull coverage, PI and coverage for chartering. The market for yacht charter has increased substantially in recent years. Consumers are increasingly seeking luxury holidays and holidays of a more adventurous nature. The internet has opened us a vast scope for private yacht owners to offer their vessel for charter. Chartering could be on a week by week basis or more long term. Our experienced team can provide advice and guidance on your requirements. With vessels being of significant value it is obviously important that contracts are in place to protect the owners interests. If you would like to discuss any element of marine law, please don´t hesitate to contact us today for a no-obligation consultation.